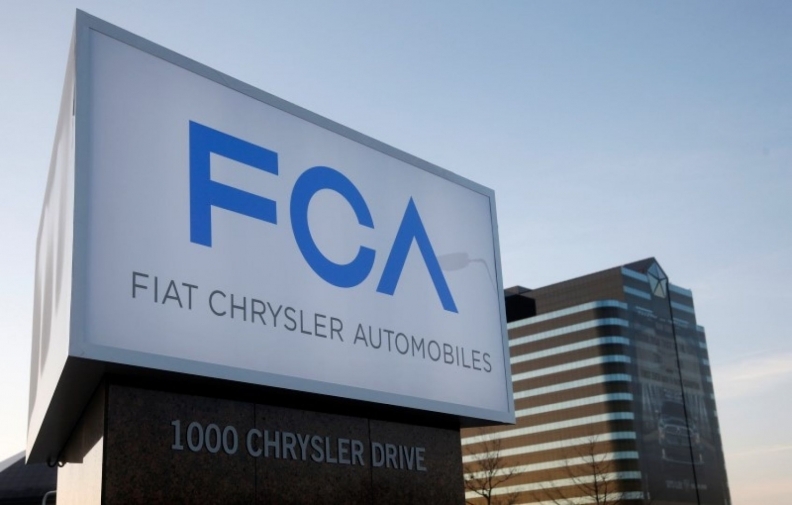 Fiat Chrysler Automobiles' first-quarter earnings rose 11 per cent as the manufacturer continued its shift away from sedans to more profitable SUVs and pickups. FCA said adjusted first-quarter earnings before interest and taxes jumped to 1.54 billion euros (US $1.67 billion) from 1.38 billion euros a year earlier. The carmaker on Wednesday confirmed targets for 2017, including at least 7 billion euros in adjusted Ebit. In North America, the automaker said it posted adjusted earnings of 1.24 billion euros (US $1.35 billion), up slightly from 1.23 billion euros during the same quarter last year. North American revenue dropped slightly to 17.10 billion euros from 17.14 billion euros. The gains came even as shipments dropped 6 per cent amid the phase out of the Dodge Dart compact and Chrysler 200 sedan and the ramp-up of the new Jeep Compass SUV. Adjusted margins in North American ticked up to 7.3 per cent from 7.2 per cent, FCA said. FCA has sold an industry leading 64,460 units in Canada during the first three months of 2017. And, a study out of the Automotive Policy Research Centre at McMaster University in Hamilton, Ont., this week found FCA’s Windsor Assembly Plant is the largest manufacturing factory in Canada. FCA's performance exceeded Wall Street expectations and shares rose 9.5 per cent to US $11.54 as of 12:36 p.m ET. CEO Sergio Marchionne is putting his search for a merger on the back burner to work on eliminating Fiat Chrysler’s debt before he retires in 2019. Ever since General Motors rebuffed his approach for a combination in 2015, Marchionne has focused on debt reduction to make the carmaker a more attractive partner down the road. He told investors in mid-April that the company needs to avoid “unrealistic dreams” of a merger soon. During a conference call with analysts, Marchionne discussed efforts to resolve the company’s ongoing issues in the US and Europe over diesel emissions, which has limited availability of some models. Production of those vehicles has been suspended while regulators investigated their emissions in the wake of the Volkswagen diesel scandal. In January, the Environmental Protection Agency alleged that FCA had failed to disclose software that allowed its EcoDiesel engines to exceed pollution limits. In terms of product plans, Marchionne said the automaker is currently studying how long it will continue to build the current versions of the Ram 1500 pickup and Jeep Wrangler after the two profit-rich vehicles are redesigned and put in new plants over the next nine months. The Ram 1500, Marchionne said, “is a very complicated product” in terms of its trim and configuration offerings, meaning “it will take us a good 12 to 18 months to roll out the full line” after the redesigned half-ton pickup goes into production in January. The CEO predicted that FCA’s Warren Truck Assembly near Detroit will continue to make current versions of the Ram 1500 perhaps throughout 2018 to meet demand while the redesigned pickup ramps up production. On Wrangler, however, Marchionne said some overlap would occur, but it would end in the first half of 2018, after which, FCA will convert the current Wrangler line over to produce a new Wrangler-based pickup. Marchionne also said the Chrysler Portal concept, which was revealed earlier this year at the Consumer Electronics Show in Las Vegas, could make it to production with the help of suppliers. The battery-electric minivan concept was envisioned as an autonomous vehicle. But he said FCA, and others, still need room to explore what the future holds for both autonomous vehicles and electrification. “We need to play, and the more that we can play, the better that we’ll feel at the end of the day,” Marchionne said. FCA’s North American profit margin continued to rise, climbing from 7.2 to 7.3 per cent, despite declining overall sales volumes in the region. Marchionne said FCA is on track to achieve double-digit margins in the region that rival those from Ford Motor Co. and General Motors. “I think if we got to best-in-class North American margins, I’d be happy,” the CEO said. A seasonal increase in net industrial debt was limited to 500 million euros, versus 1.5 billion euros a year earlier, Fiat Chrysler said. The company is sticking to plans for net industrial debt to total less than 2.5 billion euros at the end of the year, compared with 5.11 billion euros as of March 31. Marchionne had said the first quarter would be the weakest of the year as Fiat Chrysler retools plants in the United States to scale back on lower-margin cars in favor of SUVs. In contrast to a decline in its U.S. deliveries, Fiat Chrysler sold 15 per cent more vehicles during the quarter in Europe, where the car market reached a record for March.